This May, we invite you to your Alumni Welcome Reception at the Robert H. Lee Alumni Centre. We are very excited to welcome you, our newest members of the alumni family, to your new home for life! New graduates will find a ticket for a complimentary glass of bubbly in their alumni handbook (presented during your UBC graduation ceremony). 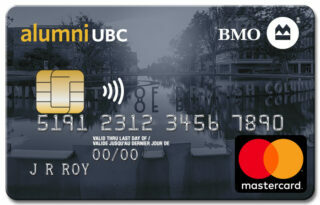 Get access to your coveted UBC Alumni Card, enjoy the refreshments, have your photo taken at our photo booth and find yourself on the interactive alumni wall. Sign up for your free Alumni Card today. You can pick up your Alumni Card during your alumni welcome reception, or we will mail it to you after graduation. Don’t miss out on the great deals and continued library and journal access that the Alumni Card provides. We suggest parking at North Parkade while you attend the UBC graduation festivities at the Robert H. Lee Alumni Centre. Questions? Please contact our Welcome Centre at 604-822-3313 or alumni.ubc@ubc.ca.